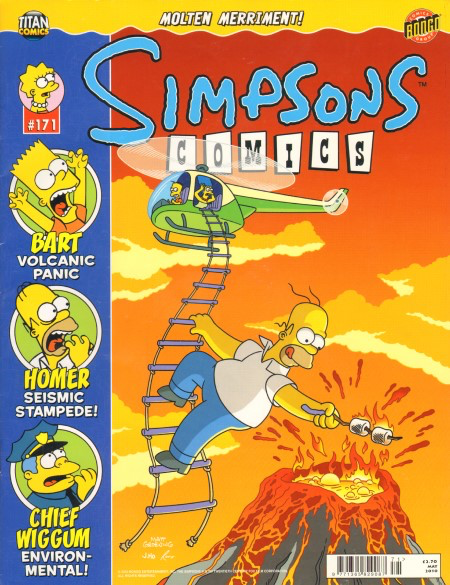 Simpsons Comics #171 of the United Kingdom edition of Simpsons Comics was released on April 15, 2010. It is based on the American Simpsons Comics #152. Main article: In the Name of Lava! Modified on April 14, 2019, at 14:12.